One of the most bold, visible and painful area where a person can have a tattoo is on the neck. 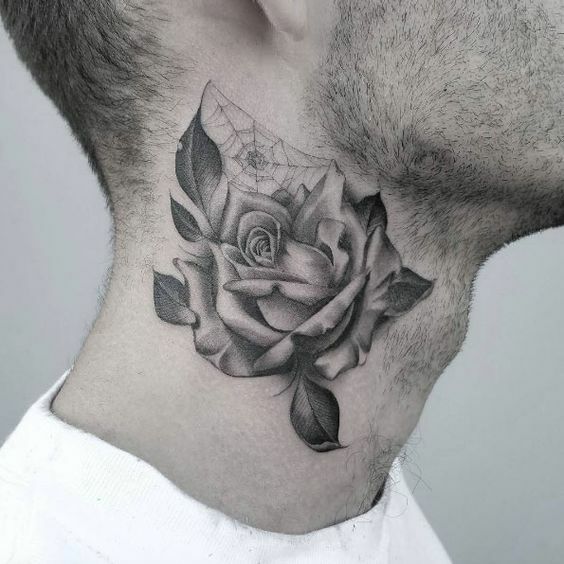 People with neck tattoos are usually those that already have many tattoos in their body, enough for them to neglect the physical pains and the public judgment of having the most obvious tattoo of all. However, neck tattoos, aside from being vulnerable to the judging eyes of the public, makes a tattoo junkie one of the coolest guy in the neighborhood. Most of the time, neck tattoos are continuation of a large tattoo that started from the shoulder, or from the chest. If it is an independent design, the shape and subject are fitted into the shape of the neck and usually are inked on the sides for more visibility. Tribal tattoos are the common choice for neck tattoos however some go for cute designs that can be done in minimalist ways. Today’s post is a collection of 30 of the best, unique, and handpicked neck tattoos that were also selected by the web to the most awesome. Colored or not, these tattoos are no joke and demands a lot of commitment from the bearer. If you’re brave enough to get one, we have the best samples for you today so just check it out.